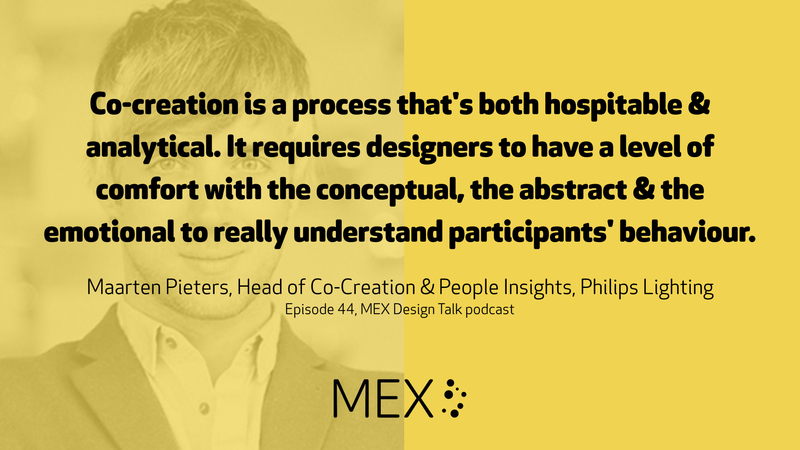 Maarten Pieters talks to MEX founder Marek Pawlowski about his work driving co-creation design activities at Philips Lighting, one of the pioneers of smart home devices like the Hue lighting system. Maarten has also literally written the book – along with his co-author Stephanie Jansen – on how to succeed with co-creative approaches. 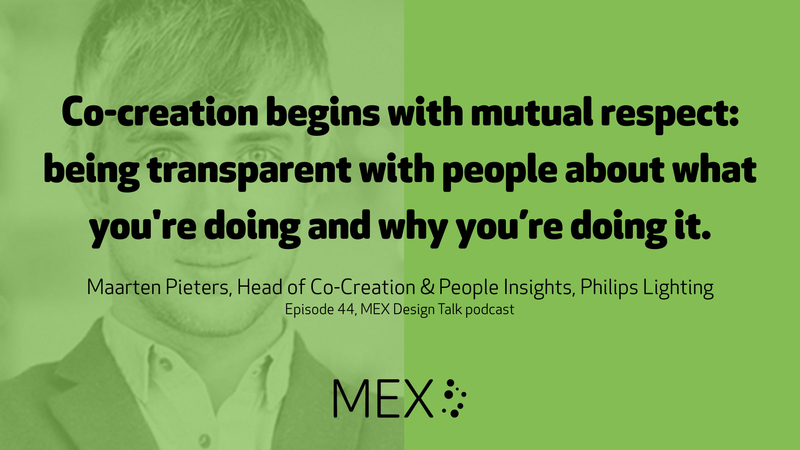 He discusses his career path starting as an innovation consultant, discovering co-creation, founding an independent agency and most recently going in-house at one of Europe’s big technology companies. Get in touch with feedback and questions @mexfeed on Twitter or email designtalk@mobileuserexperience.com. Our next MEX dining club will be in London on 13th March 2018. Get in touch if you’d like an invite – it’s a relaxed dinner talking about experience design with fellow pioneers.